Kick-start skin renewal and achieve instant radiance. Guard against the signs of aging with Broad Spectrum protection. Combat visible lines around the delicate eye area. Rapid Reveal Peel (0.1 oz x 3): Massage over face. Allow to activate for 3-7 minutes. You may experience slight tingling. Rinse with cold water or wipe off with a cold, damp towel. Recommended for evening use. Dynamic Skin Recovery SPF50 (1.7 oz): After cleansing and toning, apply a generous amount to face and neck, preferably 30 minutes prior to sun exposure. Multivitamin Power Firm (0.17 oz): Smooth around eyes, concentrating on areas of visible aging. Each gift box comes with a built-in gift tag. 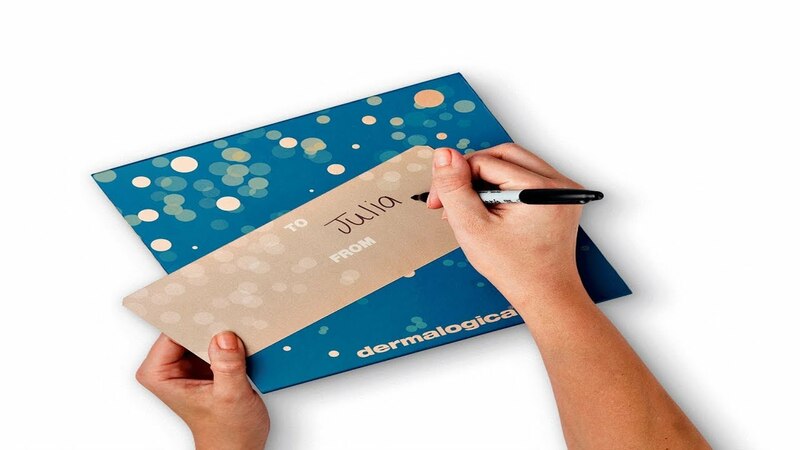 Just tear, fold, and add a personalized message for the perfect gift this holiday season! See individual product pages for full ingredients.